Tha mi a'chuir fàilte Oirbh! I welcome you! My name is Scot AnSgeulaiche. 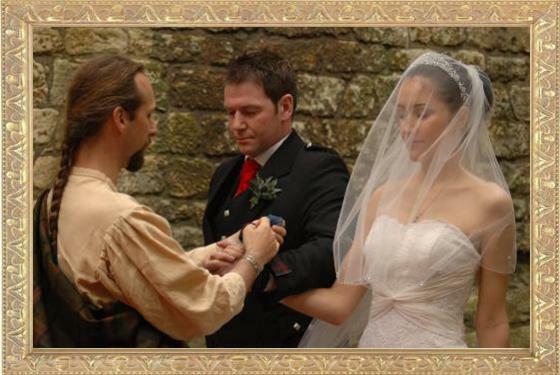 As a Scottish Tradition Bearer I provide three wedding services: Handfasting Weddings, Master of Ceremonies and Traditional Highland Storytelling. 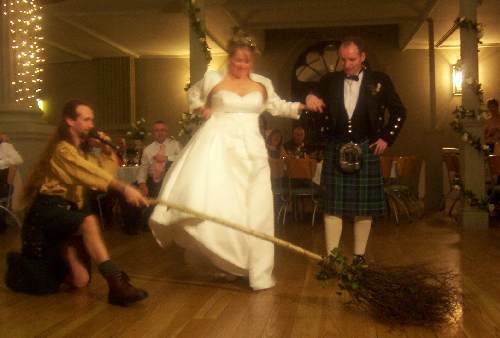 I live in Scotland so can bring living culture from the Highlands to your wedding, including Jumping the Besom (broom) and Gàidhlig (Gaelic) poetry. Many of my couples come from Canada and the US, as well as England and Scotland. 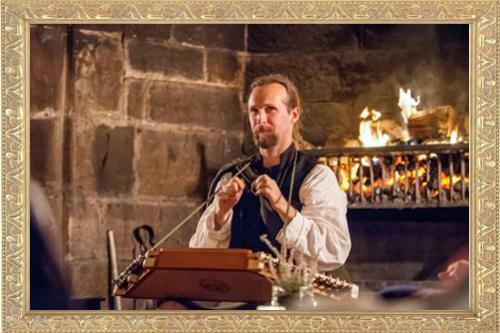 A video to give you a feel for my handfasting ceremonies and wedding Tales. Much of my work is within Scotland (I live in Perthshire), but I also travel anywhere in Britain and Ireland. Of course, I can advise on Highland dress. 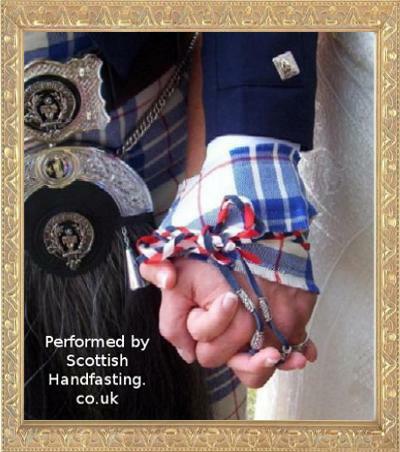 I have even delved into Scottish wedding customs to create wedding favours and gifts with a nod to the tradition. Hand Fasting is a form of betrothal, marriage or vow-renewal ceremony during which the hands of the couple are tied. It is a strong symbol of joining. I uniquely create and perform each ceremony around the couple. Ceremonies can be created for civil parterships (LGBT welcome). I conduct up to 15-20 hand-fasting ceremonies a year, and no more. 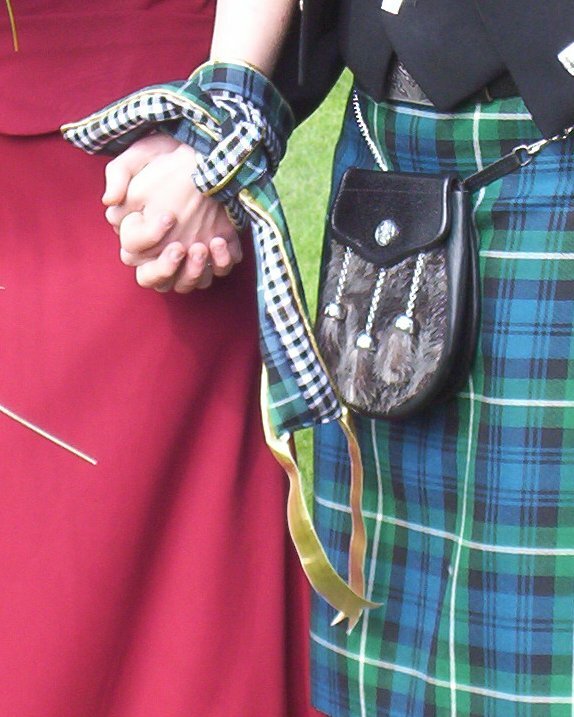 More details on the Hand-Fasting page. As Fear an Taigh (Master of the House, host), I bring an organised flow to the reception for our guests, introduce the speeches and share Scottish customs at the wedding breakfast. 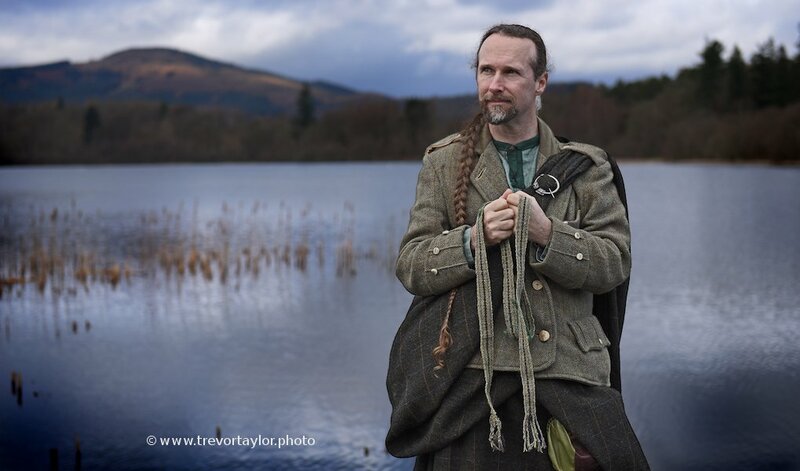 This again is done in the Highland tradition. More details on the Master of Ceremonies page. 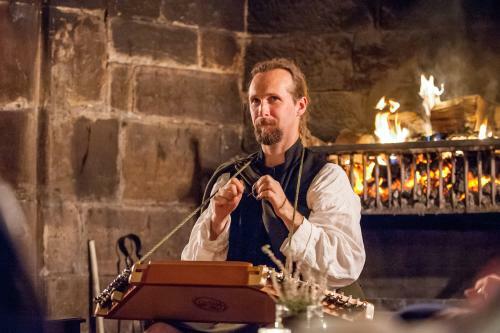 Traditionally, the clan Seanachaidh (historian / storyteller) would regale the company during the festivities with Tales of weddings past, the families, their history and so on. It still works today! More details in the storytelling section. Site created 2006 by ansguelaiche.mackenzie. Last updated December 2016. Images and text copyrighted.